Stepping out the back door produced a wonderful view. Lately the sky has often been a splendid combination of open and cloudy. 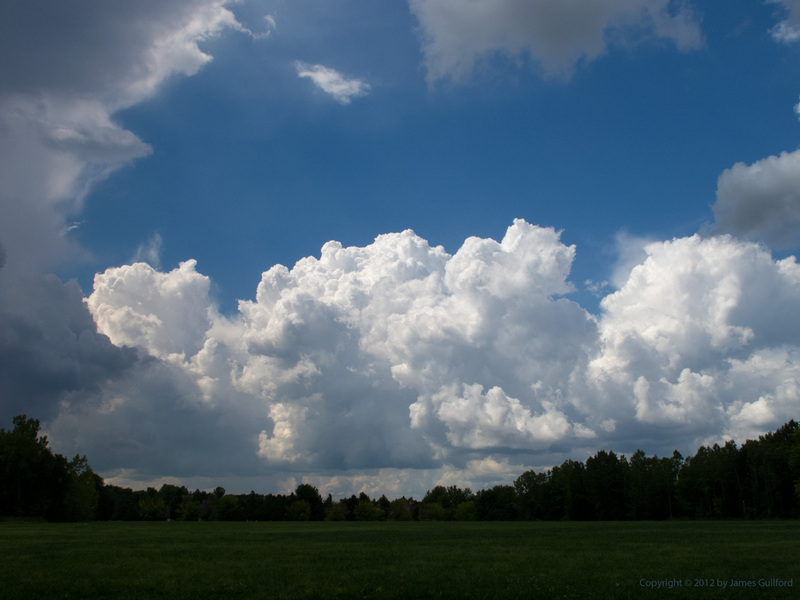 Great, puffy cumulus clouds bloom all around and, with enough open sky between me and them, offer wonderful profile views as they evolve against a blue background. Today was especially interesting as thunderstorms passed to the north and south of my vantage point. I ducked outdoors to shoot portraits of the towers drenching towns to the south. At lunch I made for the Lake Erie shoreline mostly, I must confess, to see if I might glimpse waterspouts. 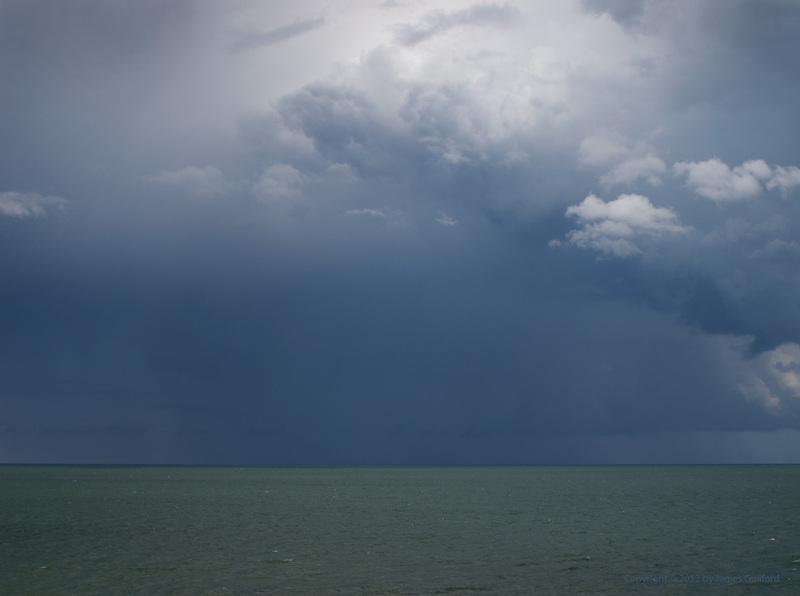 No waterspouts but a heavy storm was away out over the lake and the water had a strong green coloration. Beautiful cloudy skies and a green lake made my day a happy one. An intense thunderstorm passes to the north.